I just had to post this picture I took of Rascal last Sunday, basking in the sun. 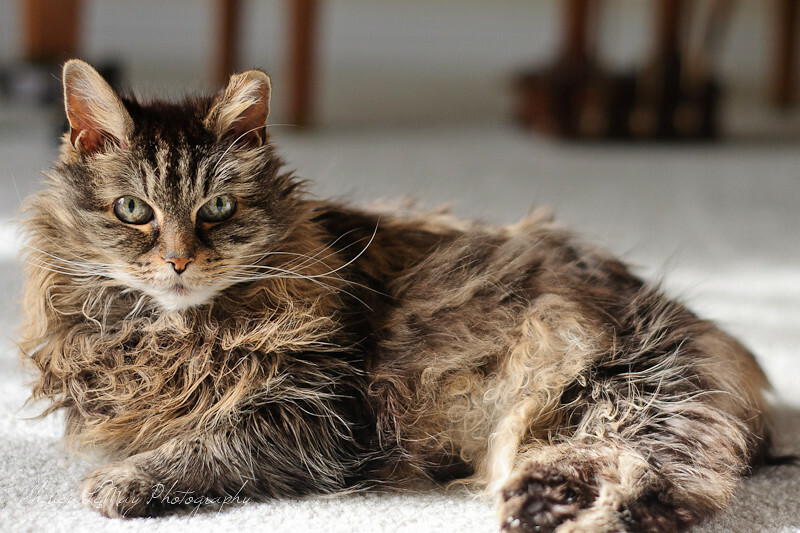 She's looking good for a 17 year old kitty, and I always approach each year like it could be her last (although Scott says she's going to outlive us all, just to spite the new cats we keep adding to our family). Oh my what a beautiful girl! You captured her wonderfully Shirley. Love your Team Up Thursday Hats as well! RYC: Matt and I are planning a day in Boston early February. The way this winter is going I expect there'll still be plenty of snow there. Can't wait! I hope you have many more good years with her!